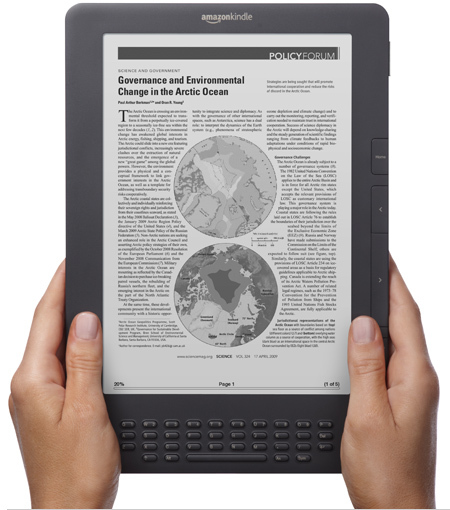 Neat Things: Amazon Kindle DX - Jack Does Good - Visual communicator on a mission to do good well. On July 1, 2010 by Jacklynn // my day. Oh Amazon Kindle DX, why must you play with my heart like this? For those of you that don’t covet everything, and don’t know: The Amazon Kindle 2 is now only $189 new from Amazon (and hovering around $170 on ebay). That’s because they’ve made this lovely thing and they need to shove out all old models. I still love you, Kindle 2. I was dangerously, dangerously close to getting one before my trip to Europe this May, but couldn’t seem to get past the $240 ebay price tag at the time. An now they are a pretty reasonable price considering the amount of love I would give it. 1. The price. This is a given. 2. Time. I have huge pile of books in my room right now that are sadly unread. Although the Kindle would let me obtain books fast, I doubt I will have any more time to read them. I literally have at least 20 books that I’ve bought this year and haven’t read. Ps. In case you were wondering, e-ink is pretty legit. I was skeptical too until I saw an e-reader. 16 shades of gray, baby.